Becoming a nurse is an honorable and noble career choice that only the most benevolent, kind and generous of people can dare to opt for. 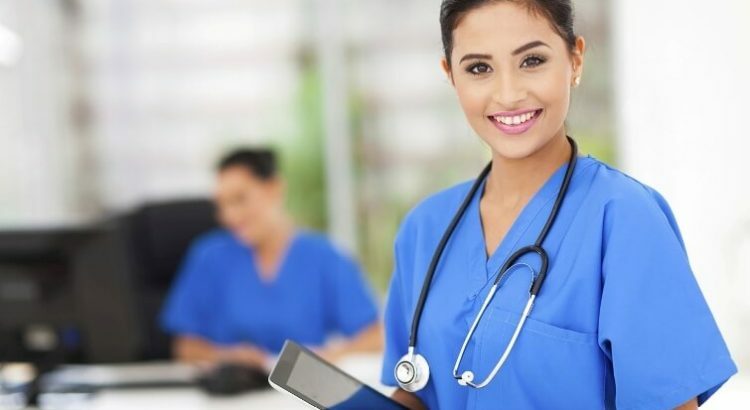 Nurse Practitioners (NPs) are healthcare professionals who possess the expertise, proper training, and knowledge in diagnosis and treatment of chronic illnesses. NP schools are pretty selective in choosing candidates. Once you have managed to clear the tough entrance exams, you have to face an interview to get in a reputed medical institution. The thought of facing a nurse practitioner schools interview often fills the mind with dread, trepidation, and anxiety. However, you can overcome this fear by putting forth a confident and strong personality. These DNP interview questions test your passion and drive towards the profession. You don’t necessarily have to memorize the answers; just respond to the best of your ability. Here are some advanced nurse practitioner interview questions you might be asked and how to answer them. 1. What should we hire you? One of the most common questions to be asked in an interview, the employer or interviewer wants to check how confident and assured you are of your potential. Be completely honest and straightforward. Don’t manipulate facts and give any false information. Once you have introduced yourself, talk about your academic qualifications, degrees, and expertise. A nurse practitioner should have a master’s degree in his field of study. Other than that you can also mention some programs and projects that you were a part of in med school. 2. What would be your duties as a nurse practitioner? An easy enough question, the interviewer wants to see how well you are aware of the unique duties of an NP. They might follow up with a question about why you chose to become an NP and not a CNA or physician. Begin your answer by stating the technical definition as stated under the American Association of Nurse Practitioner’s code. NPs are different from a regular certified nurse or general physician. For starters, they hold the expertise and advance knowledge in diagnosing chronic diseases and mental illnesses. Secondly, NPs are concerned with the overall well-being of the patient and not just during a special ailment disease. 3. Why do you want to join the nursing field? As a registered nurse, you have a lot of responsibilities in the hospital. The interviewer here wants to check your passion towards the job and how well can you handle the duties. Start by talking about your interest in the medical sector. You can then talk about how you want to serve the sick and help them through their pain and suffering. A nurse practitioner is not just someone who diagnoses and treats physical ailments but also takes care of the mental well-being of the patient. Talk about the job satisfaction, happiness and sense of accomplishment you derive from being an NP. 4. How well can you manage stress? A nurse practitioner has a lot of things on his/her plate, they constantly need to multitask and deal with a lot of stress. This question checks your ability to deal with the work pressure and also tests your presence of mind. Talk about the various duties you’ll be expected to perform as an NP. State how well you are in handling the stress and multitasking, a major aspect of your job. You can also mention instances and real-life experiences where you had to deal with the stressful situation and how well you fared in them. This gives an added credibility to your answer. 5. What do you think is the most challenging aspect of your job? Again, a commonly asked DNP interview question, the interviewer wants to know your opinion about the job and also test how well you can recognize the problem areas of being an NP. Being a nurse practitioner is no child’s play. You have to deal with hundreds of patients, some cranky, some aggressive, without losing your cool. Talk about the challenging aspects of the job such as the timings, the work pressure, the night shifts and other issues that you are likely to face. Be honest and open in voicing your concerns to give the interviewer a glimpse into your thought process. 6. What is your philosophy of caring and empathy? Any professional in the medical field must have the passion and willingness to help the sick and suffering. The interviewer wants to test your motive for being an NP. Putting your thoughts into words requires a great deal of maturity and depth. Don’t just start rambling about how you want to save the world. Begin the answer by stating the personal beliefs and morals that you live by. Honesty, integrity, dedication, devotion, empathy, care, kindness- these are all qualities that a good nurse must possess. Apply these values to the healthcare setting and explain how you want to serve the needy and reduce their pain. 7. Do you have any prior experience in the field? Having some prior experience in the nursing field or being a part of medical programs do give your resume some extra brownie points. The interviewer wants to see how well equipped you are with working in a hospital. Now is the time to mention your previous internships, programs, and projects that you were a part of. Talk about the previous workspace and the employer. Ensure that you are not overly critical of the whole experience, mention just the good parts. Talk about how enriching the experience was and how much you learned from it. 8. How would you deal with a cranky patient? First and foremost, talk about how you would try making the patient feel at ease. Establishing an open communication channel with the patient, diagnosing his problem, assigning the proper treatment etc. is all part of your job. As a nurse, you’re also supposed to be sensitive towards his mental state and emotional well-being. Get professional assistance (like a psychiatrist) in case you notice signs of chronic depression or suicidal tendencies. Also, be firm, gentle and completely honest in dealing with the family members of the patient. 9. How well can you handle conflict and discord in workspace? Even in seemingly peaceful workspaces such as hospitals, there may be incidents where people or the office staffs lose their cool. The interviewer wants to check your reaction to such aggressive behavior and your role in solving it. Conflict in the workspace is completely normal considering the stressful conditions and excessive work pressure doctors and nurses have to deal with. Talk about similar previous experiences you might have faced in the past. It might include incidents of discord between colleagues, uncooperative doctors, and violent patients. 10. What are your views on health care reforms? The recent health care reforms have brought about a drastic change in the healthcare sector of America. Every medical student and NP aspiring candidate must be aware of these changes and the effect they have on people. Read up on the Affordable Care Act and try answering as honestly as possible. Put forth your views with absolute transparency, the interviewer wants to check how passionate and well aware you are in the medical field. However, don’t panic if you are unsure of the answer. You can always present an optimistic, open-mind and express a desire to learn more about it in the medical school. 11. What According to you are the biggest challenges in the medical sector today? This might come across as a challenging question for many candidates. Note that it is more about testing your critical thinking, clinical skills, and presence of mind. Don’t be overly ambitious and idealistic; be as pragmatic and practical as possible. Before you walk into the interview, brainstorm about a few problems that the medical sector is facing today. From the technological advancements to lack of basic facilities in some areas there are a lot of areas that have immense scope for improvement. Talk about the infrastructure of the hospital, the kind of facilities provided and the overall approach taken towards the patients as well. 12. How would you solve these problems? Now that you have discussed the problem areas, the next question obviously would be about the how you plan to solve them. You can show your management skills, quick decision-making capabilities, and efficiency. Simply stating the problems areas is easy enough, giving a smart and effective solution to it takes brains. Talk about the fund allocation and changes you’d like to see in the medical sector. Also discuss the various prospects, the scope for the advancement of technology and research work that might improve the present healthcare scenario. Express your views loud, clear and confidently, giving the interviewer a fair idea about what is exactly going on in your mind. 13. Where do you see yourself in 10-15 years? Be as honest and practical as possible. Talk about your present qualifications and move on to explore the scope of your career. Mention the courses you might want to take up, the exams and programs you’re applying for and the dream institutions you want to be a part of. Dream big, talk about the kind of research you want to take up in the future or the changes you might want to implement in the medical system. 14. What are your expectations from this organisation? As a registered nurse, you might have a few expectations from the organization you’re working with. The interviewer gets the opportunity to hear your side of the deal, here are a few topics you might want to consider for questions to ask during the interview. Talk about the learning and experience you’ll get from working in the institution. Also, discuss your shift timings, salary expectations and the working conditions you expect in your job. Mention a reasonable figure (best that you check out the average pay scale of a registered nurse). Refrain from being too demanding; keep these expectations as practical and simple as possible. The interview is pretty much over. This section deals with how you can put forth some questions to ask the interviewer regarding the job and your responsibilities. Now is also a good time to discuss the shifts, the salary and other technical aspects of the job. Asking questions shows your involvement and level of interest in the interview. Even if you don’t have any questions as such make sure you put in a few final words and sum up your thoughts before leaving the interview.